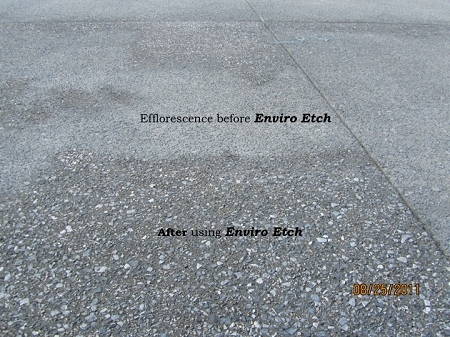 Enviro Etch is a concrete cleaner that micro etches and removes efflorescence and rust stains from concrete, masonry, brick and block surfaces. 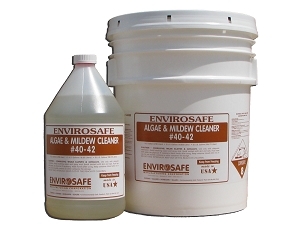 It has very low odor and is non-corrosive to skin. It is safe to use indoors and outside. 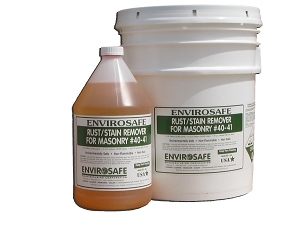 PRODUCT DESCRIPTION: A fluid applied cleaner that micro etches and removes efflorescence and rust stains from concrete, masonry, brick and block surfaces. 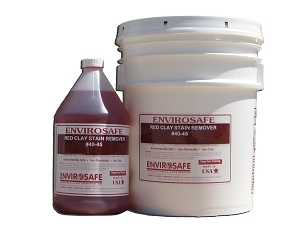 Low odor and is non-corrosive to skin. It is safe to use indoors and outside. 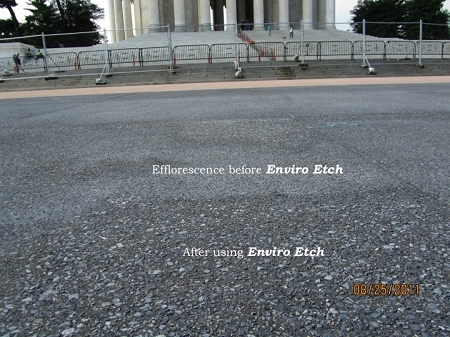 TYPICAL USES: For industrial, commercial and residential use on sidewalks, driveways, buildings, floors, ramps, brick pavers, stucco, cinder block or any masonry surface that has efflorescence. 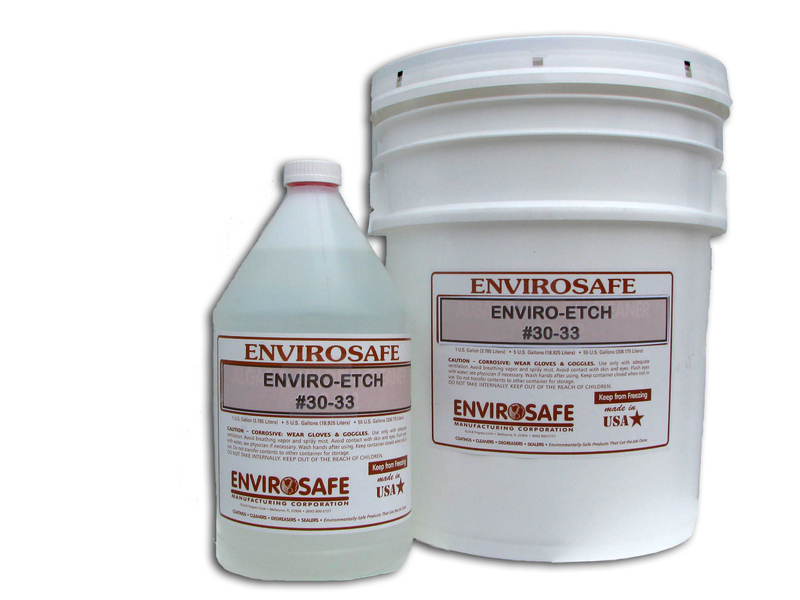 Enviro Etch acts is the perfect concrete cleaner to prepares surfaces to receive other coatings and stains such as the Trojan Color Sealer. 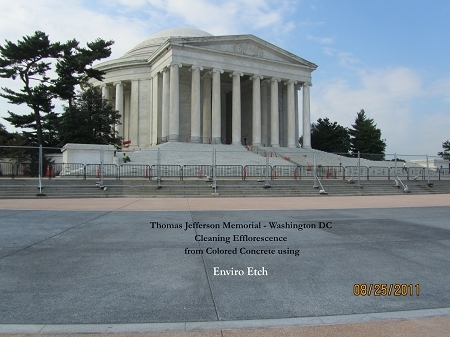 It does this by cleaning and opening up the pores of the surface so that coatings can better bond to the surface and stains can adequately absorb into concrete. 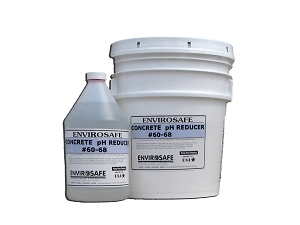 PRODUCT ADVANTAGES: Enviro Etch is non-corrosive to skin, water soluble, safe to use indoors as it has very low odor and will not harm or deteriorate masonry surfaces when used properly. * Specific Gravity: (H20=1) 1.2 @ 24 Deg C.